Jay married Kathy in 1978. 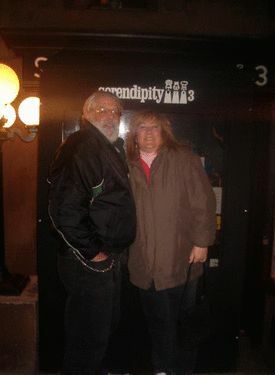 He was the best husband anyone could want for 28 wonderful years. He was a loving and beloved father of four children. John, Christa, Joseph and Kourtney. To no one�s surprise he became a diesel mechanic for the State of New York where he worked at Stony brook University for 24 years. He then went to the Department. Of Transportation as a Motor Vehicle Carrier Inspector where he spent his last three years working with the police to keep our roads safe by inspecting tractor trailers for safety issues and homeland security. This was not however what he considered his profession these jobs were merely a way to support his family while he followed the passion of his life which was his faith and his ministry as a pastor of Word of God Ministries church. He considered being given the title Rev. John �Jay� Leeman as the greatest accomplishment next to being a good husband and father of his life. Jay believed that Life should be God, Family, and Church. These were the joys in his life. There is not a day, hour, or minute that goes by that this family doesn�t feel the huge emptiness left by his passing. Jay died in August 2006. We love you. We miss you. Register to see what John Leeman is up to now!